· Be sure to regularly clean your oven: Do this with the self-cleaning feature if available or by hand. This should be done as soon as the oven has cooled whenever there is a spill, and the whole thing should be cleaned regularly three times a year. · Make a spill barrier: Prevent spills inside your oven by using aluminum foil or extra baking sheets under and around your dish. · Check the bake element: This is the coil in the oven that glows. If it is not glowing or if it is glowing unevenly, it can completely mess up the dish you are making. They can be easily replaced if they are not working properly. · Double check! : Whenever you are done using it, be extra sure to turn off the oven, and check for any spillage. A quick second check could prevent a potential fire. · Always follow the safety tips: Know the cleaning and general use instructions from the appliance manual, as these can vary. Always be sure to unplug the oven when cleaning, and avoid using water too near to the oven’s power sources. If your oven begins to smell different or you see sparks at all, it is time for a professional to look at it. If you are unsure whether something is fixable, contact a professional for advice to keep yourself informed and away from any potential danger. 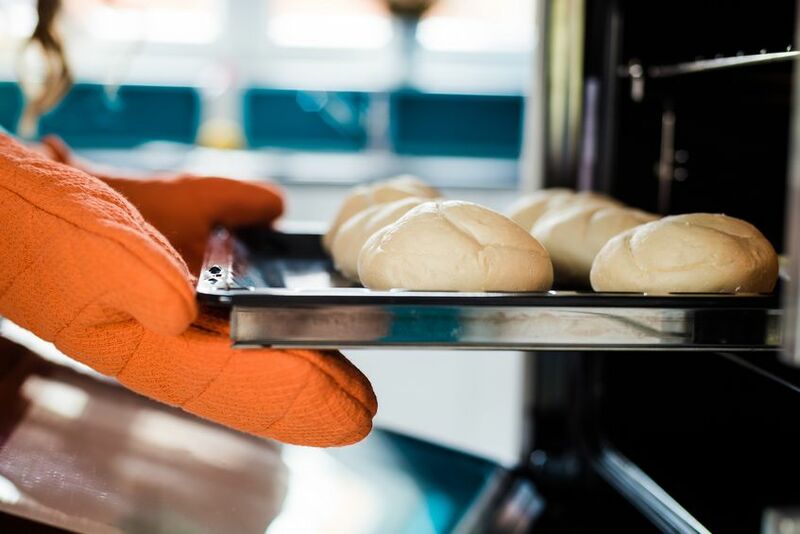 Proper maintenance adds years to your oven’s life and helps keep you safe (and well fed)!